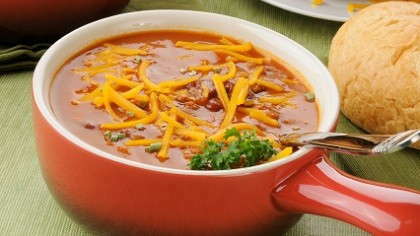 This quick and easy crockpot chili recipe takes just minutes to prepare. Healthy chili for you, fun chili dogs or chili burgers for the kids! Step 1-Trim the beef of all visible fat. Cut into 1/2 inch cubes. Place meat in crock pot and stir in tomato paste to completely coat meat. Add the remaining ingredients and stir to blend. DO NOT add any additional liquid. Cover and cook for 12 hours on LOW heat. When done, you can skim the fat from surface and discard.